The bride and her event planner came to Regal with the idea of a customized pink venue to house her 300 person wedding at one of the most exclusive golf clubs in Canada. 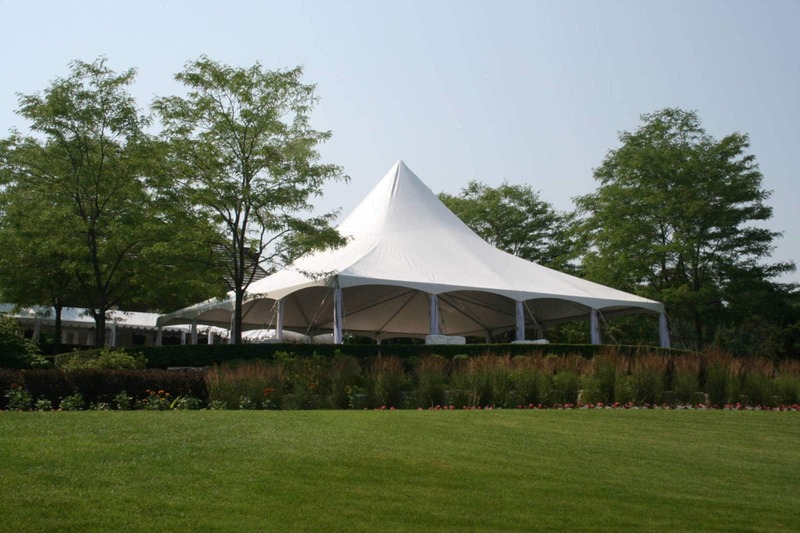 Working together we designed a venue made up of four separate tents to house a sit down dinner, lounge, and dance floor. 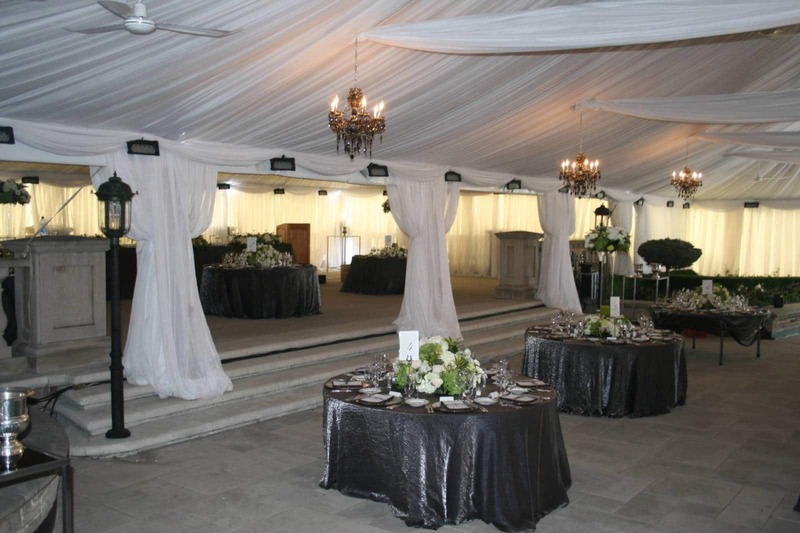 The custom drapery was lit up by LED lighting that created a pink glow within the tents. Each tent was set up within an existing garden setting and custom gutters connected the tents to each other to ensure the event went off without a hitch.